From the exquisite Montblanc stationery collection, this StarWalker Midnight Black ballpoint pen features a sleek black resin case with ruthenium-plated fittings, and topped with the brand's white star emblem. Stylish and comfortable to use, this elegant pen beautifully celebrates the art of writing. 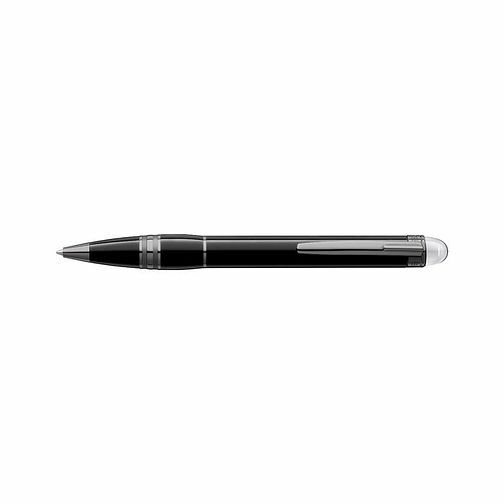 Montblanc StarWalker Midnight Black ballpoint pen is rated 5.0 out of 5 by 2. Rated 5 out of 5 by Anonymous from Great quality Quality product as you'd expect with a two year guarantee. Received a new customer discount for signing up in advance of purchase, so pleased with Ernest jones price as well. Sent pen to shop, received email and text notifications arrived at shop, which made sure I didn't miss message, seamless service at shop at captain circus Bristol. Recommended.